These rugged tights will complete just about any period outfit. Made from soft, stretchable 100 percent cotton, these tights have an elastic waistband and boot stirrups allowing for a comfortable, all-day fit. 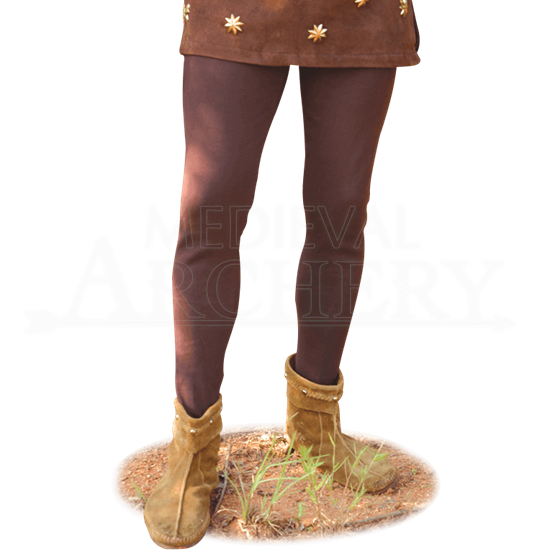 No reenactment or medieval fantasy wardrobe is complete without these authentically styled tights. Please note that tights cannot be returned or exchanged once they have been tried on. Large: Fits a 40-42 Inch Waist. Has a 43 Inch length with a 31 Inch inseam. Perfect fit and excellent quality for the price. I'm very pleased.